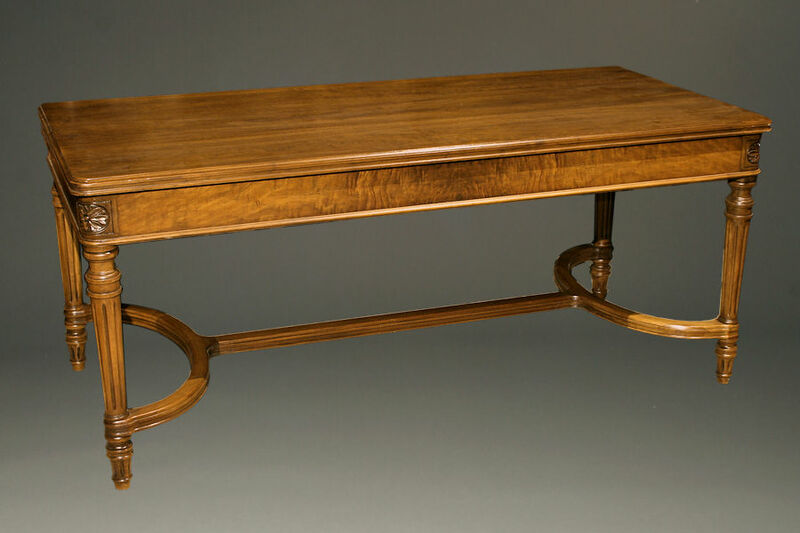 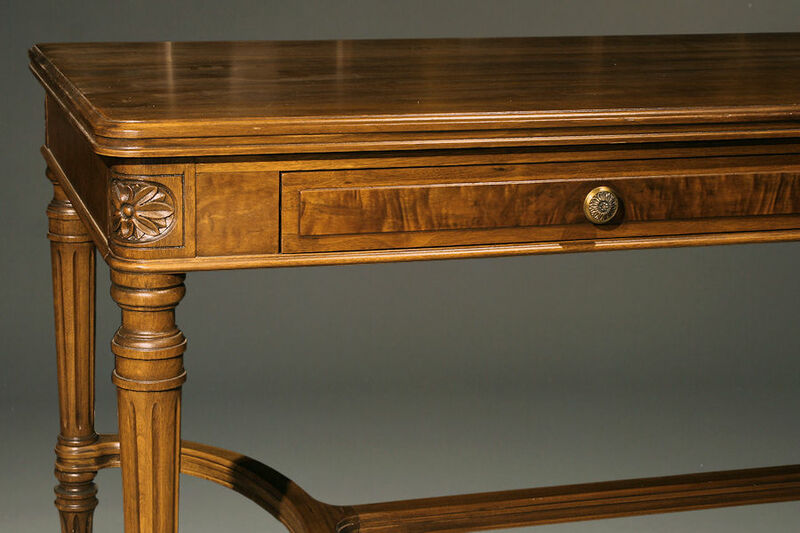 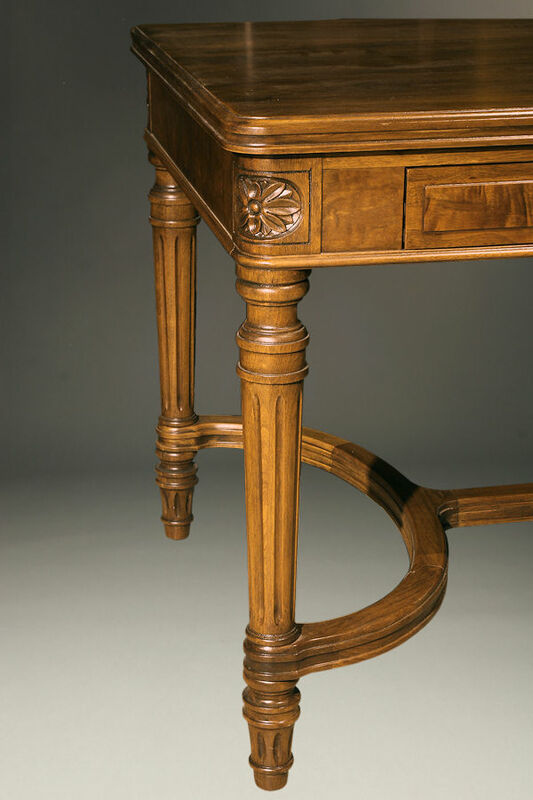 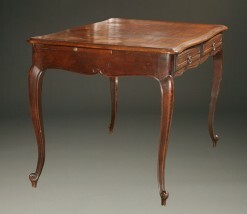 1930’s antique writing table by Stowe Davis.1930’s antique writing table by Stowe Davis. 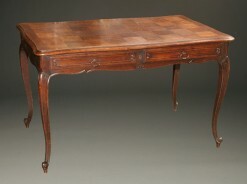 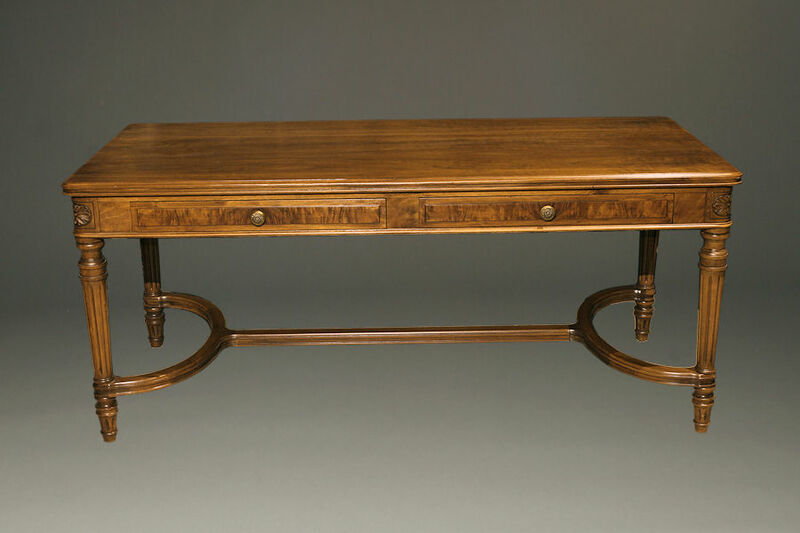 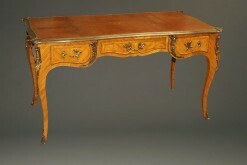 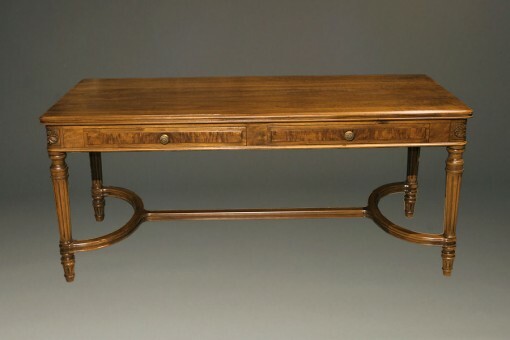 1930’s antique writing table by Stowe Davis. 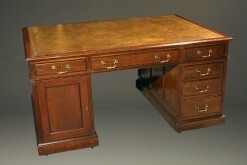 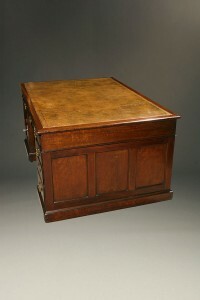 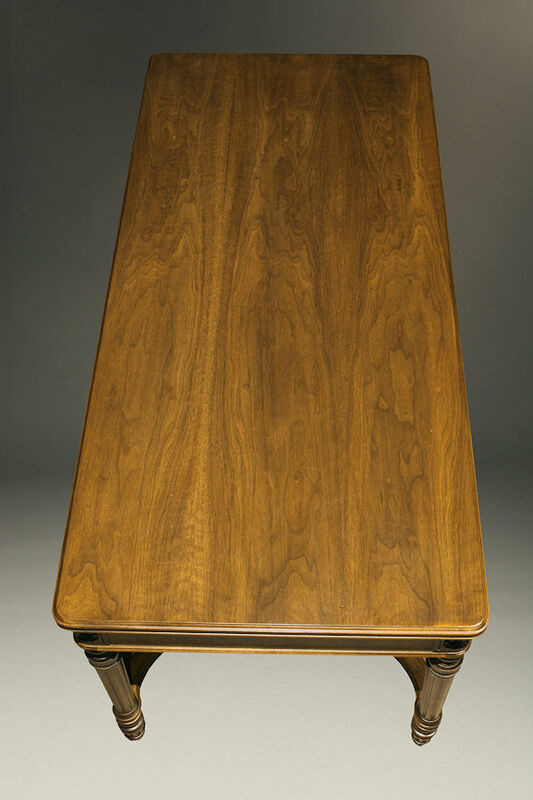 1930’s antique writing table with 3 drawers made by Stowe Davis in walnut. 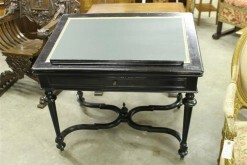 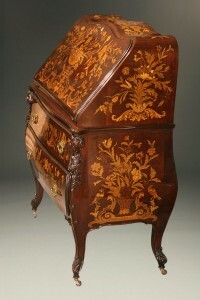 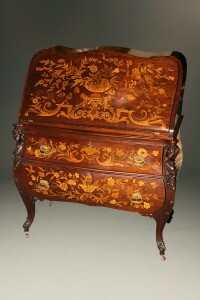 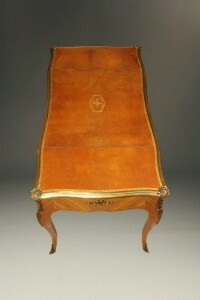 Late 19th century oak parquet top writing table with two slides.